Fun money: Is there a >5% high dividend indexfund? I am 32, no kids, but great girlfriend (we were at the meet-up) and have a saving quote of 50% and put mostly through IB in VT and VTI (besides VIAC in 3a pillar). So I am very comfortable with my portfolio. I can say I have done my homework. I like my simple and “dont have to worry about”- portfolio. I like the FIRE concept even though I really like my job. So FIRE for me is more about having an option to stop working at 55 and retire early or even never sell VT/VTI, live from the dividends. However, getting rich the slow way through yearly investing in VT and VTI is quiet boring. So I allowed myself some “Fun Money” where I can invest in single stocks, crypto, in lottery tickets or whatever the heck I want. For next year I want to preferably invest in a high-dividend indexfund or in a single stock which pays high dividends (like 5-8%). The idea is to have a yearly passive income which I can use for whatever I want (go and eat at luxury restaurants, buy gifts and give it to family and friends, play black jack or just reinvest it. I know in Switzerland from a tax perspective it doesnt make any sense to have this. But for me it is about pychology. I like to have a small amount of instant gratification yearly and get a reward for putting in the work. There has been an utility indexfund which dividended last year 10% but its value is decreasing for the last 10 years. So in the end they are just paying you your own money back. Vanguard High Dividend Yield has around 3.3% dividend. 1% more than VT/VTI isnt worth it. Than I rather put it in VT/VTI. ZURN - single stock of Zurich insurance dividends 6% yearly (Swisscom stock is similar). I like the high yield but is the high risk of single stock worth it? I am not sure if they still exist in 30-50 years. Indexfunds however will, right? tldr: with my Fun money buy Indexfund, never sell and use dividends for more fun. Do you guys have any recommendations for a high-dividend indexfund or any more ideas to make my plan work? You can try to buy Argentinian or Ukrainian bonds, if you’re adventurous. They pay 20-25% . Or a more sensible tip: one guy in a podcast was recommending Singaporean and Hong Kong REITs, they pay 5-6%. iShares STOXX Global Select Dividend 100 UCITS ETF (DE). It’s a solid product with a defined index, a dividend payout of ~5% and a TER of 0,46%. There are at least 3 alternatives available with a similar TER, but lower payout (3-4%). If you want more, you have to go the extra mile, i. e. either betting on single stocks, accept more risk with high-yield bonds, or invest more time. He invests in Business Development Companies, Master Limited Partnerships, Stapled Securities, Royalty/Investment Trusts, Preferred Shares, and Covered-Call-Funds. This leads to a high payout, but seems to add quite a bit of complexity: Not all of these investment vehicles are readily accessible to the common investor in Switzerland, and there’s quite a learning curve when it comes to taxation. 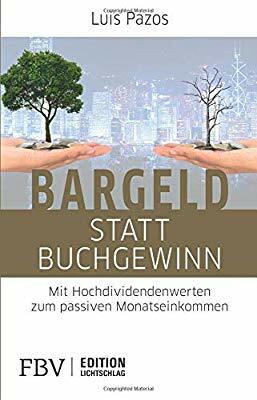 There’s a favorable interview by the “Finanzwesir” who is usually a strong proponent of passive, low-cost and low-maintenance portfolios to get you started. I know in Switzerland from a tax perspective it doesnt make any sense to have this. But for me it is about pychology. You know it’s wrong and still want to do it, why? I like to have a small amount of instant gratification yearly and get a reward for putting in the work. Get a better paying job if you current one doesn’t pay enough and you must gamble on the stock market for the extra cash. You can invest in the FTSE 100, the large capitalisation from United Kingdom. Dividend payout is 4.3% of the value and you find ETF with TER lower than 0.1%. The FTSE 100 is a great example of unethical finance with big dividend (drink, smoke, gas&oil and natural ressources). For fun money I would do it opposite - 3x leveraged ETF or 3x inverse leveraged or something like that. For fun money I would do it opposite - 3x leveraged ETF or something like that. Easier done with CFDs on indices. Cost is only 1-2 points on major indices. With volatile markets like we have now, careful stoploss and take profit points and lots of self discipline one can grind profits day after day. Just to go back to the topic. Anyone has experience with some exotic product? Sometehing like that. No idea how they are called, but I think they are mostly linked to 2-3 stocks. These are structured products. I am reluctant to talk about it because I know the industry and I consider this mainly gambling, but yes they are quite fashionable among swiss asset managers and private bankers in particular. All structured products are usually a combination of a bond and an (exotic) option. The main issuers of such products in Switzerland are EFG Bank, Vontobel, Leonteq, Cornèr Bank, Raiffeisen, UBS and so on. At issue date (25.10.2017), you invest $1000 in the product. if on 18.10.2022 the S&P is above the strike level, the issuer pays you only $1250. As you can see it is just a bet that in 5 years the S&P will not appreciate more than 25%. And it is just that: a bet. By an large the most popular category of structured products are called “barrier reverse convertible”, of which you can find an example here as well. The product has one or several underlyings, (here 3: Amazon, Netflix and Spotify), of which you record the price level at an initial fixing date (here it will be 17.12.2018). These levels are called initial fixings. There is as well a “barrier level”, here setup at 50% which means that during the lifetime of the product we will monitor if any of the underlyings falls below 50% of its initial fixing. Finally, there is a strike level, here setup at 100% of initial fixing. if the worst performer ends up below the strike (let’s say the worst performer is netflix, and ends up at 53% of its initial fixing), then you are not paid in cash, but in shares, for an amount of roughly $530. so your loss is 47% of your initial investment, but you did get some fat coupon. It is hard enough to analyze one company to figure out what it is going to do, but three is almost impossible. Plus you usually do not have the choice of the companies baskets, so your fate is tied to the worst performer of the basket. The first one seems like a good-ish offer if you are unsure about the market. Their fees might be the problem. Not really mustachian these products. Your risk is also the insolvency of the institution responsible for the derivative product. Recently doing some cleaning in my archives I found a fact-sheet for a reverse barrier from Lehman Brothers. The participants have lost their hardly earned money. Thanks everybody for your time and feedback. Tldr: A lot of the suggestions are products which attract gamblers and not investors. Nothing for me. So the best thing I got out of it was the blog and book recommendation for Luis Pazos (a specialist in high dividend investing). There I found Ares Capital Corporation (ARCC) which is a Business Development Company and pay a dividend of 10%. They pay 20% but their currency loses 40% a year or so. So no thanks. but I have figured out I will stay away from REITs. I invested in 2016 in Bitcoin with part of my fun money and cashed out partially. So for me it went well. But I still keep some for the future. The ETF is from Germany. Not the best option for a swiss guy. And the payout 3-4% is too small to consider it. Thanks for the Links. I read both of them. I also read both books from Luis Pazos in the last week. 10% Dividend is awesome and exactly what I was looking for. However, I still have to look more in detail in their numbers etc. before I invest. Very good point! I have 90% of my portfolio in VT and VTI and this is for me peace of mind. But Index-Investing is in fact pretty boring. So I give myself a mental outlet where I can do with the rest of my money whatever I want. So it is all about psychology. I sleep good and also have the freedom to try something else besides index investing. If it doesnt work, then ok, I learnt something and I at least tried. When it skyrockets it is also good - I have some more “Fun money” and also put the rest of it into VT and VTI. But in the end I want to keep 90% of my portfolio in VT and VTI. I like my job and it is also paying very decent. But I like to have also side incomes to diversify and also again it is about psychology. I never go into casinos and I dont bet with money. 4.3% is not worth it for me. I have also read about that. I rarely trade and when always without leverage and in really small abouts. So no. A friend of mine watched some youtube videos and also started with CFDs. He lost really fast a lot of money. So this is pure gambling and speculation. So no thanks. Derivates and structured products. They are very complex and I dont understand them. So I stay away from them. Thanks again for the feedback and the questions. It is always good to learn something more (also about yourself). So I give myself a mental outlet where I can do with the rest of my money whatever I want. So it is all about psychology. I still do not understand your point. Do you want to outperform the SPX by taking on more risk with fun money or what exactly is your goal? You seem to not want to take more risk but instead invest in high dividend yield companies which in turn means a worse performance compared to VT.
A quick look at Vanguards website reveals a yearly 8.4% of VIG (High Dividend ETF) compared to 14.8% for VOO (S&P 500) … so you would be losing money every single year to a quite substantial degree. Why? If on the other hand if you want to invest the “fun money” in more risky assets, it would make sense. Maybe you can outperform SPX for a year? Maybe two? Especially in times of high volatility it seems possible. But high dividend stocks won’t get you there. On another note. Investment books are such a scam. There seems to be a book for every investment strategy. So one guy write a book to invest in gold, the next one in real estate, next one in shipping companies and then even more esoteric stuff like Bitcoin, Bitcoin Mining, Weed stocks etc. It seems like the only one making money with all these strategies is the author selling books. These books are designed to scam retail investors. the company has paid a dividend bigger that the cash it earned in three out of 4 years. In other terms, it’s auto-eating itself. I would not be surprised if not much remains in a few years. Plus, don’t ever expect the price to go up in a substantial way in the future… So you will get return on capital but not return of capital. Looks totally healthy to me (sarcasm). The day you find such an ETF, please tell me. I’ll create a company that does nothing else than investing in this ETF and reinvest dividends in the ETF (the company is likely to be a holding for a nice tax treatment of dividends). That will be the easiest way to consistently beat the market (7% average over the last century) without doing much Plus, since the value of the ETF does not go sensibly down, it will be with much less volatility! A quick look at said website reveals that these figures are annual returns since inception of the respective funds. Which in case of VOO (S&P 500) was in 2010, whereas for VIG (Dividend Appreciation) was 2006. That’s comparing apples to oranges, and we don’t need to spell out more than (the year number) 2008 to see why: VOO hasn’t been through a major bear market (crash), while VIG has been. 5-year and 10-year returns on the other aren’t that much different. I think it’s an interesting question to ask: What would the difference in returns be, if we had a bear market or crash, which will happen eventually? The website answers that question actually. Last year VIG did better than VOO that is why the return is now more comparable. But if you look at the 5 year return it is still higher for VOO. Also keep in mind that VIG is less diversified. So if anything happens to the top 10 companies in the index then it has a higher downturn risk. I hold two companies which I believe fit in this description, although the current stock valuation is low and therefore dividend yield high which is a result of temporary events. TUI is above 7% dividend, while BAT is now around 6.7% after recent price recovery. The corresponding indices trade at a weighted P/E ratio of around ~6 which is very low, also historically, while dividend yield exceeds 6%. There’s not a lot of room for these countries to get much cheaper IMHO, although I’d wait for the dust to settle after the recent India-Pakistan dispute.